Lock in a great price for Hotel Panorama – rated 8.6 by recent guests! The location of the hotel is good, but it is not enough. The owner is not polite, the lady on the reception is nice and kind. 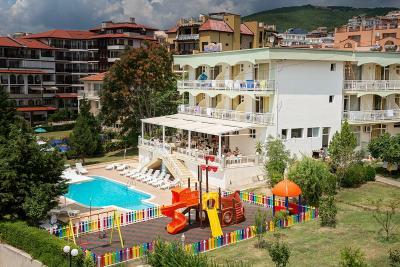 A very family hotel but even a hotel where everyone could "swich-off" for fews days (I've been out of high-season). Service was fine and simple and peoples nice. 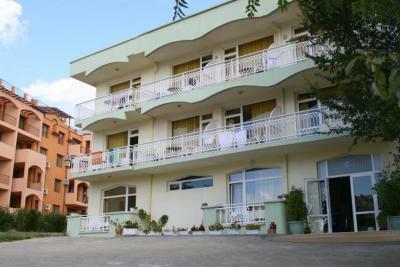 1 minut walk from beach, 5 minuts walk from the main street. 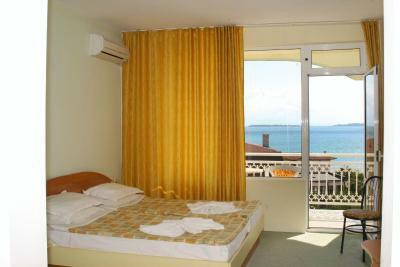 Hotel Panorama in Sveti Vlas enjoys a beautiful location only 150 feet from the beach boasting amazing sea views. 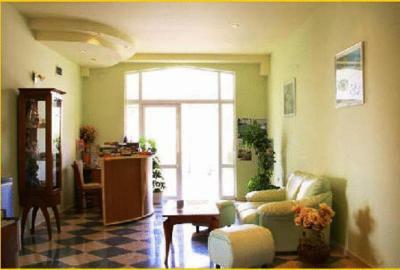 The comfortably equipped rooms have a modern interior. WiFi internet access is available at a surcharge. 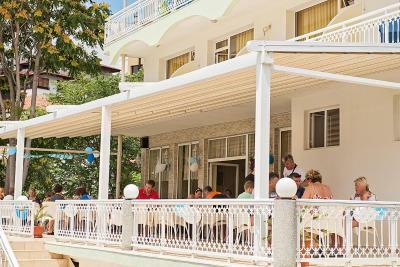 The Panorama features a pleasant restaurant with a panoramic terrace as well as a bar where you can enjoy delicious meals and beverages. 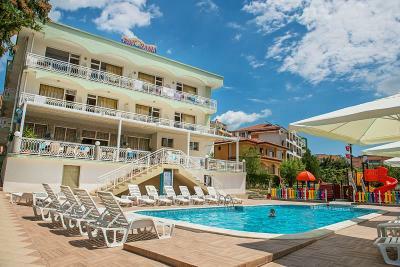 The outdoor swimming pool has a children's section and there are sun beds and umbrellas available. 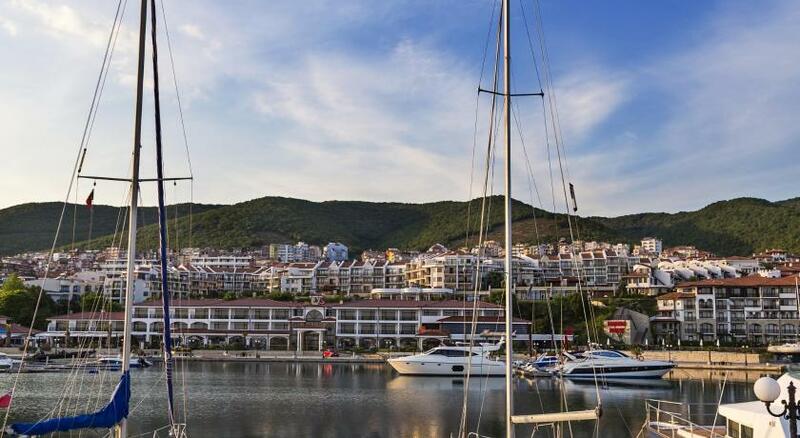 Sveti Vlas has a unique climate combining sea and mountain air. 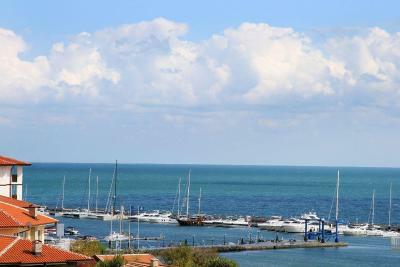 A very modern yacht port is adjacent to the hotel. 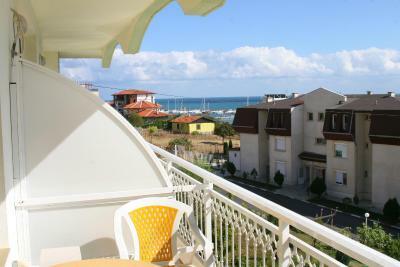 Sveti Vlas is also close to the ancient town of Nessebar and the popular Sunny Beach resort. 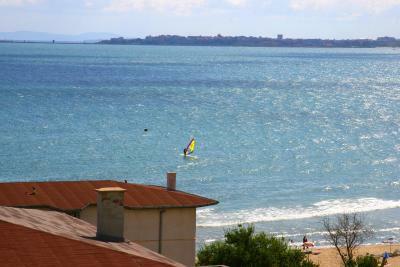 There is a terrace with sea view. 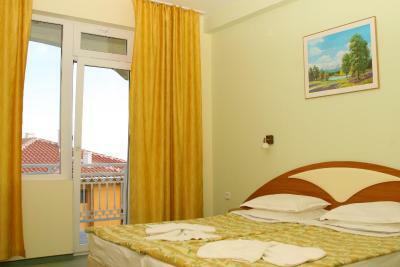 Any additional older children or adults are charged 50 % of the room stay per night per person for extra beds. Please inform Hotel Panorama of your expected arrival time in advance. You can use the Special Requests box when booking, or contact the property directly using the contact details in your confirmation. Location, food, servive, value for money. There was a smell from the bad room. Internet against payment-this wasnt in the description. There was a sign on the refrigerator-1 euro if you use it /???/. The breakfast was disgusting, the coffee as well. We couldnt even stand and leave out for coffee and food. 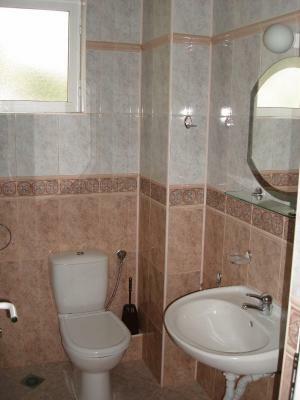 The sink in the bathroom was tapped, the shower was very low. In general the price is too high for this property. It is clean and vert comfortable.